Free duplicate contacts removal software for all your devices and email accounts. A simple cloud-based app will help you to quickly find and remove all duplicated contacts on your PC, smartphone or tablet. 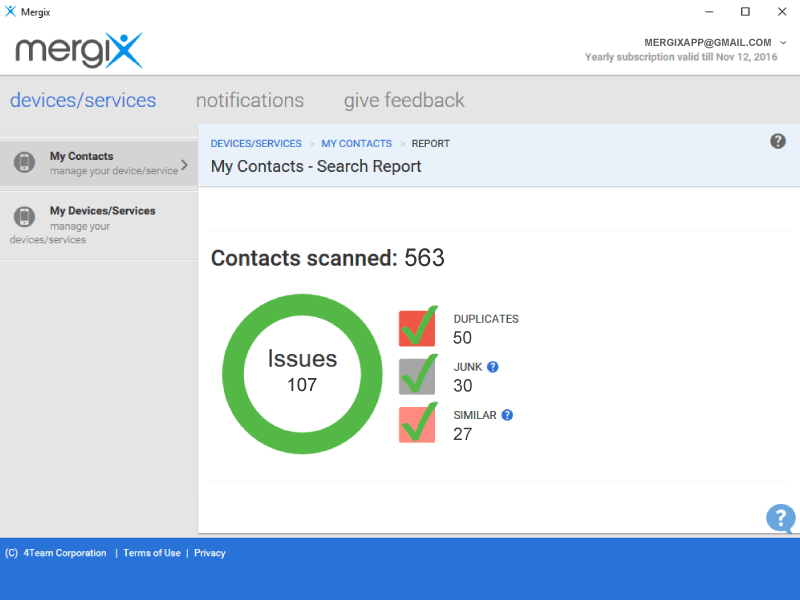 Mergix will scan and compare your contacts across all connected contact sources - Gmail, Office 365 Mail, iCloud, Outlook Exchange and find all duplicated, closely matching and junk contact entries across them. 4Easysoft DVD to WMV Converter, best DVD to WMV Converter to convert DVD to WMV, HD WMV, and rip DVD to WMA, MP3 with fast speed.